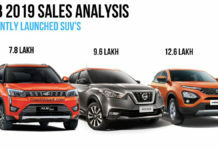 Mahindra’s recent launches in the form of the Mahindra Marazzo and the Mahindra XUV 700 has caught quite an attention in the Indian market. 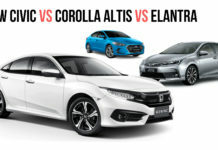 Soon, the manufacturer will launch many all-new vehicles as well as facelifted versions of the current vehicles. 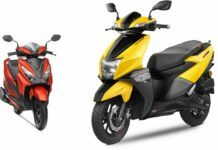 Here are all the upcoming Mahindra vehicles that will be launched in the Indian market soon. The Mahindra XUV 300 will be launched on 14th February in the Indian market. The all-new SUV is based on the SsangYong Tivoli platform. 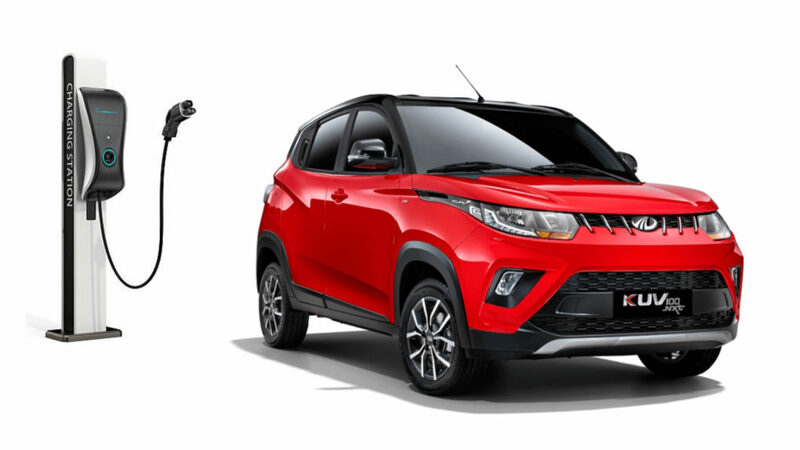 Mahindra has made enough changes in the vehicle to give it its own identity. 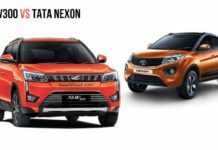 The all-new XUV 300 will take on the vehicles like Ford EcoSport, Tata Nexon, Maruti Suzuki Vitara Brezza and upcoming Hyundai Styx. 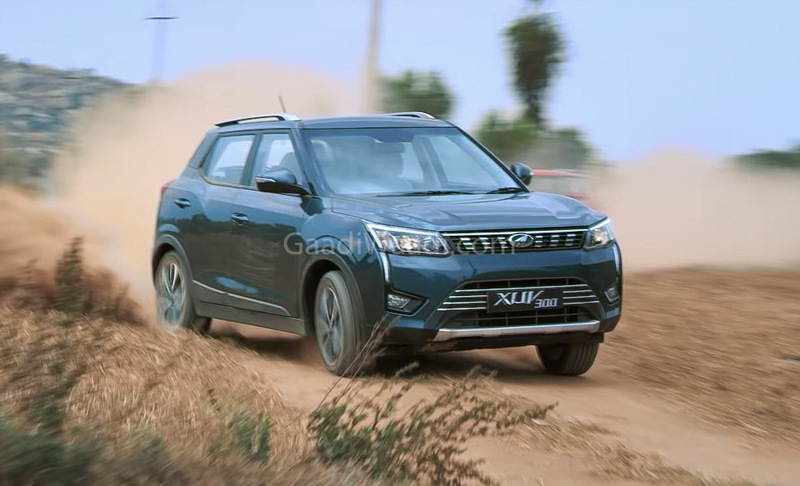 The Mahindra XUV 300 will get many segment-first features including disc brakes on all four wheels, dual-zone climate control, 7-airbags, steering modes, cruise control and a few others. 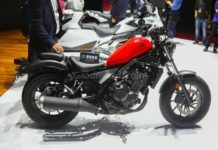 It will also get a sunroof, LED headlamps and taillamps, tyre position display, tyre pressure monitoring and many such advanced features. The XUV 300 will get powered by a 1.2-litre turbocharged petrol engine that generates a maximum of 200 Nm and the same 1.5-litre diesel engine that powers the Marazzo and generates a maximum of 123 PS and 300 Nm. 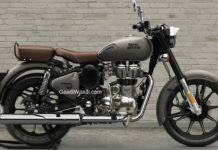 It will get a base price of around Rs. 8 lakhs. 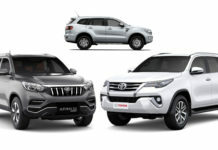 Mahindra earlier announced that the S201, which is the codename of the Mahindra XUV 300 will also get a long wheelbase version in the Indian market. 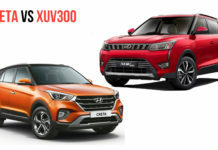 It is not confirmed if the upcoming vehicle will be known as the XUV 300 Plus on the lines of TUV 300 Plus or it will get the XUV 400 moniker. 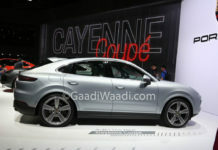 The long-wheelbase version will offer 3-row seating for seven occupants. 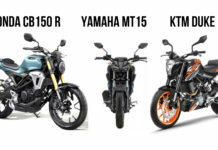 Rest of the features and drivetrain will likely to remain similar. 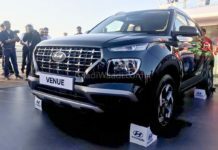 The car will be launched by the end of this year and has been caught testing alongside the Mahindra XUV 300 on multiple occasions. 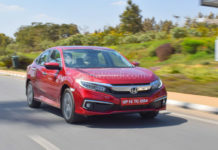 The Mahindra Marazzo was recently awarded a 4-star rating by G-NCAP, which makes it the safest MPV in the Indian market. 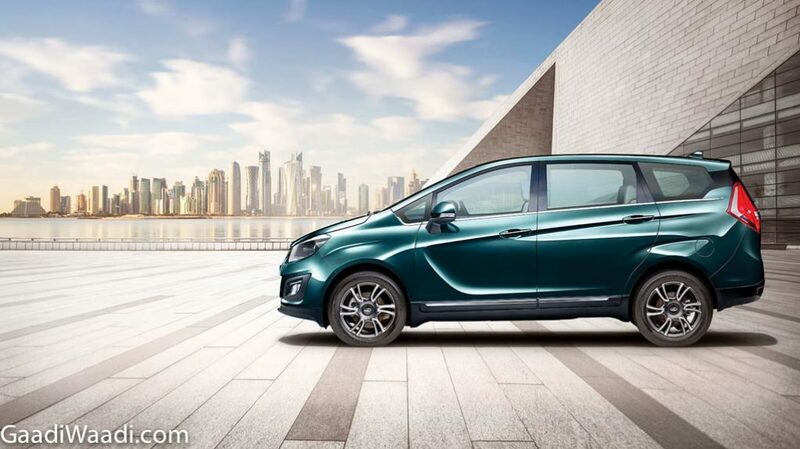 During the launch of the Mahindra Marazzo, officials announced that the vehicle will get a petrol version closer to the BS-VI implementation in India, which is from next year. The Marazzo petrol is expected to be launched later this year and will be powered by an all-new engine that is currently being developed by SsangYong and Mahindra. With the petrol variants of the Marazzo, Mahindra will also introduce the automatic version of the MPV, which is currently missing from the line-up. The Mahindra TUV 300’s tank-like looks and built quality has earned quite a few fans in the Indian market. The straight line design of the TUV 300 alongside rugged looks makes it quite popular. 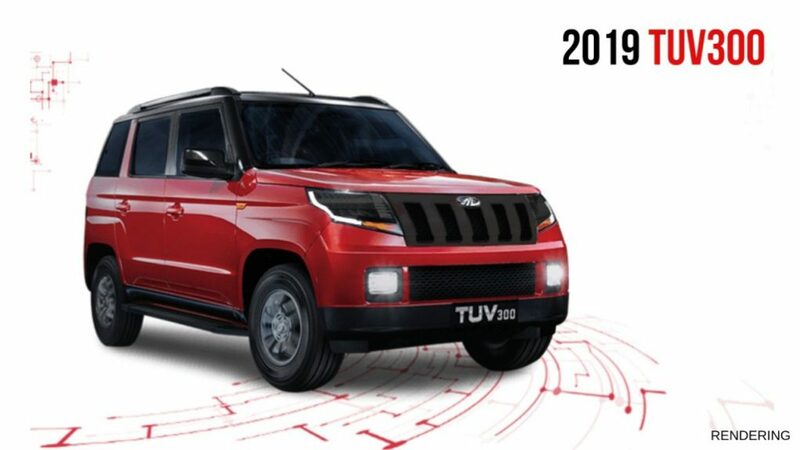 Well, Mahindra is working on the facelifted version of the TUV 300 and it is expected to be launched in the Indian market later this year. There would not be drastic changes to the vehicle but they will be enough to keep the TUV 300 fresh in the market. 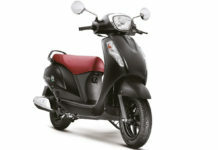 Mahindra is currently the only manufacturer that offers electric vehicles in the Indian market. Soon, the electrified version of the Mahindra KUV 100 would be launched in the Indian market. 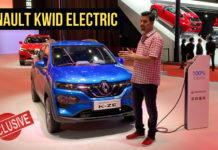 The vehicle was showcased at the 2018 Auto Expo and it looks exactly the same as the regular version of the KUV 100. However, it gets smart features like remote diagnostics, cabin pre-cool, real-time tracking and other various driving patterns too. 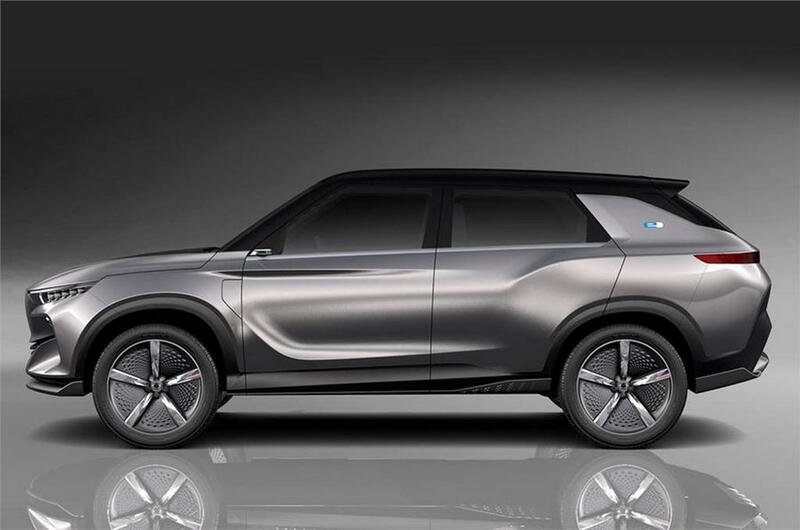 The KUV 100 EV is expected to get around 350 km of range. The power output of the vehicle is not known. However, it can do 0-100 km/h in 9 seconds and can reach a top speed of 186 km/h. 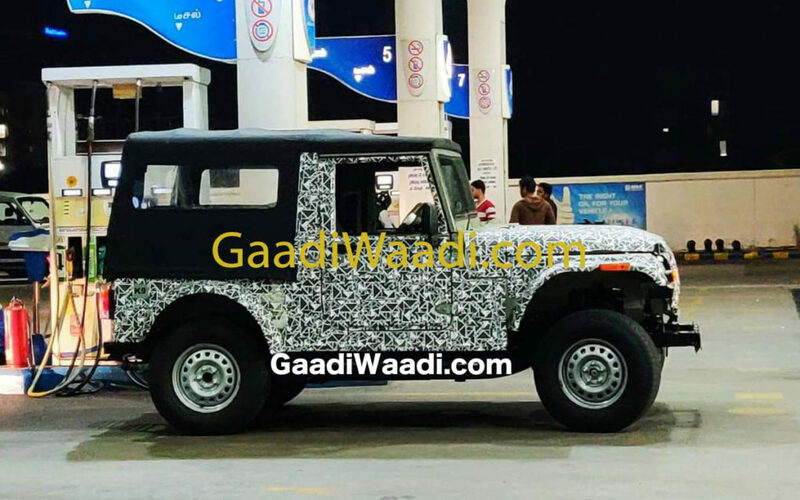 The all-new Mahindra Thar has been caught testing on several occasions in the Indian market. 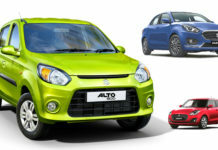 It is expected to be launched before the new BNVSAP rules get implemented on the Indian cars. The all-new Thar caught in the pictures looks extremely big and gets the similar design as the current generation of the Thar. The current Thar is not safe enough to meet the upcoming safety regulations but the all-new vehicle will be compliant with rules and will be powered by a new engine that will be BS-VI compliant too.